Javaneh’s people disdain her for her mixed blood, yet covet her magic. On the run from those who would bind her powers, she needs another horse for speed, no matter the cost. So in a caravanserai on the edge of the mountains, she gambles everything she has – including herself – to win one. However, she hadn’t anticipated getting a smelly, dim-witted slave, whose only thought seems to be getting his next meal, into the bargain. Such an annoying travelling companion she can do without. Or can she? For with the wolves of the steppe hard on her heels, she may need all the help she can get, even from unexpected quarters. A tale of elemental magic, deception, dangerous escapes and dumplings. Set in the same world as Bride to the Sun and Elephant Thief, this novella-length story follows the adventures of Javaneh, a metal mage of mixed Khotai and Sikhandi heritage. 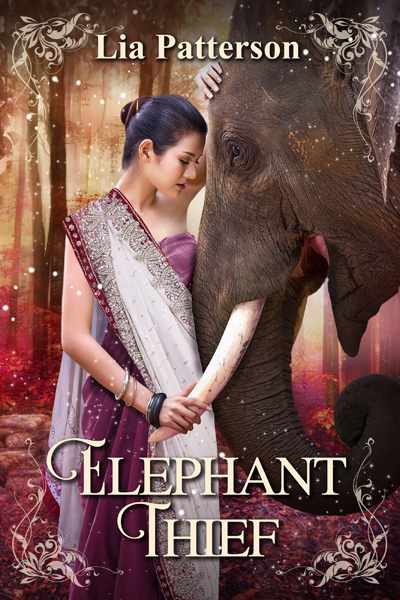 When magically gifted Arisha runs away from an army camp with her elephant Hami in order to save him from death in battle, she thinks she’s in deep trouble. However, she soon discovers that things can always get worse. Escaping across a war-torn country, they are captured by the enemy’s leader. 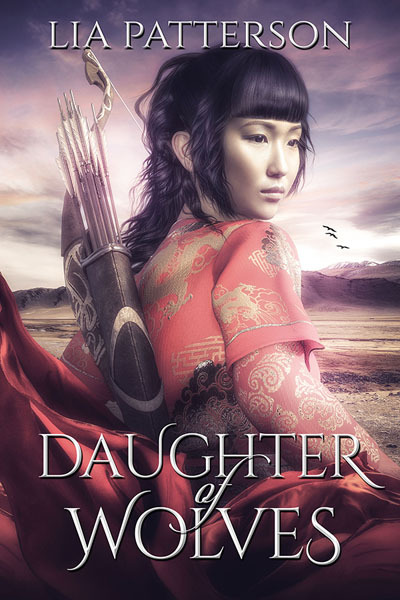 Rhys, known as the Eagle and with a reputation as a cold blooded killer, wants to use the elephant to take revenge on Arisha’s people and needs her to control Hami. 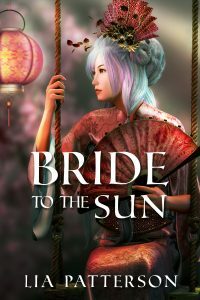 Arisha is ready to fight him every step of the way, but to her annoyance, instead of throwing her in a rat-infested prison, he behaves with honour. Grudgingly she comes to respect him and they find themselves drawn to each other despite their differences. But can Arisha bridge the gap between opposing countries and personalities before the decisive battle is joined? A tale of elemental magic, almond eyes, daring escapes and feathers. Set in the same world as Bride to the Sun, but some three hundred years earlier and in Medyr’s homeland Aneirion (map), this story chronicles the adventures of Arisha, a young Wood mage. 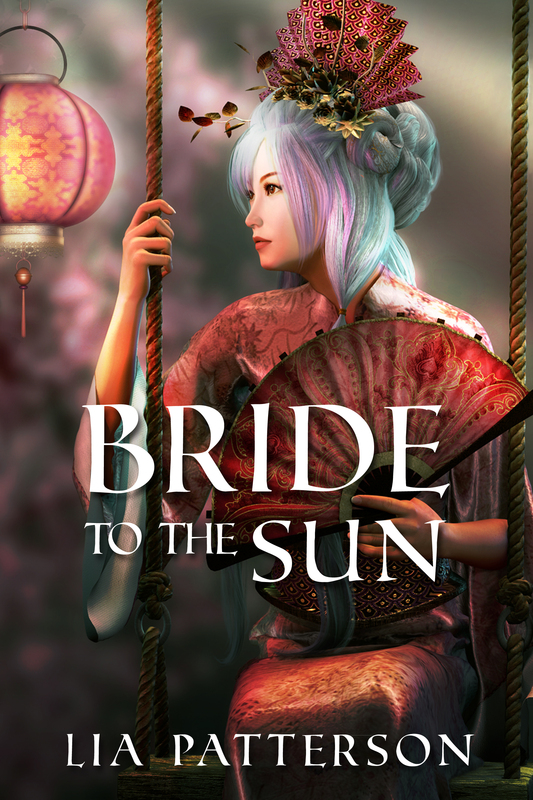 This story, set in a fantasy world inspired by my travels to Asia and my interest in ancient Chinese history, has been a long time in the making, but is now finally seeing the light of day. If you want to have a peek inside, the first two chapters are available here as an excerpt or you can use the ‘look inside’ feature on Amazon.